Beth Behrs was photographed wearing TACORI earlier this evening at the People's Choice Awards at Nokia Theatre LA Live in Los Angeles! The Two Broke Girls star sparkled in gold accents including a TACORI 18k Yellow Gold 0.62ct Diamond Ring from their Sonoma Mist Collection ($2,390, style no. 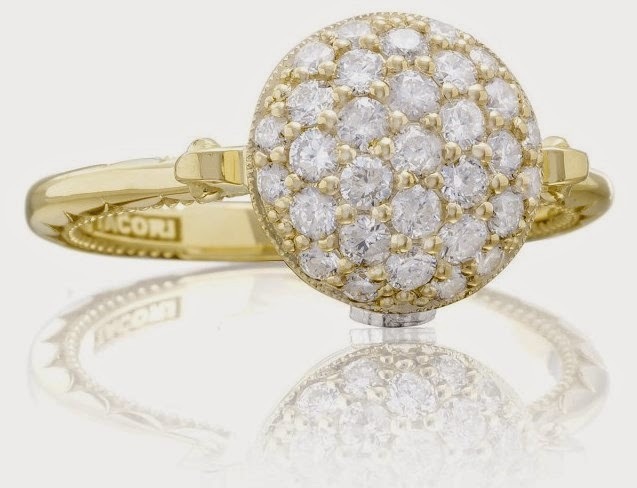 SR190Y; www.tacori.com)!